If hitting dead center is not the strongest part of your game, we’ve got your back! Worrying about off-center shots will now be a distant memory. 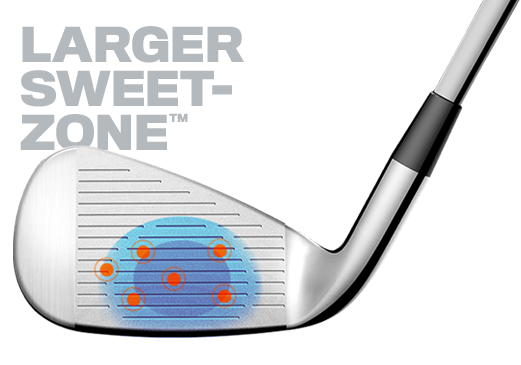 Using a thin, high strength L-Cup face construction allowed us to move the weld out to the topline and down to the sole, creating a Sweet Zone that is 12% larger than our F6 in the mid-irons, 7% larger in the long irons and 5% larger in the wedges. 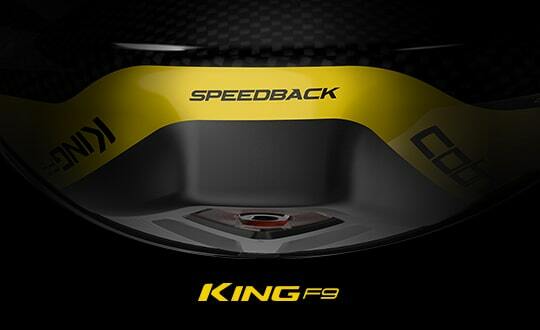 This means more ball speed and controlled distance. 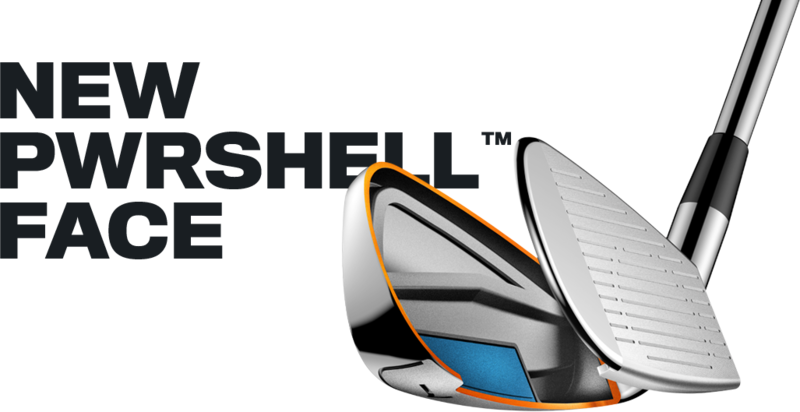 The largest iron profile we've ever created results in increased Moment of Inertia (MOI) providing more forgivness to make it easier to hit the center of the clubface more consistently. This helps to generate more ball speed on off center hits for effortless distance. Using a full hollow body construction combined with Tungsten weighting, we have positioned the CG lower and centered in the club head to deliver more forgiveness and precision. 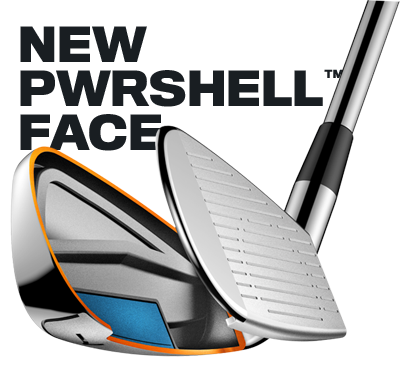 This perfected CG positioning produces a higher launching, more powerful feeling iron. Increased ball speeds help the ball jump off the face, delivering easy-up distance, and giving you the shots needed to impress your friends and improve your iron game. Now - go hit some greens in regulation! King OS irons come equipped with V-grooves on the 4-6 irons to reduce spin, U-grooves on the 7-PW to optimize spin, and wedge-spaced grooves on the GW and SW to produce extra spin to dial in shots around the green. Full-hollow body construction throughout the set delivers a soft, yet solid feel and helps to lower the CG for improved consistency and added distance. A re-engineered polymer medallion badge replaces steel, which frees up 5g of weight that has been repositioned to move the CG lower in the club head for improved launch conditions. Weight is strategically removed from the center of the club head and redistributed around the face lower and further back. 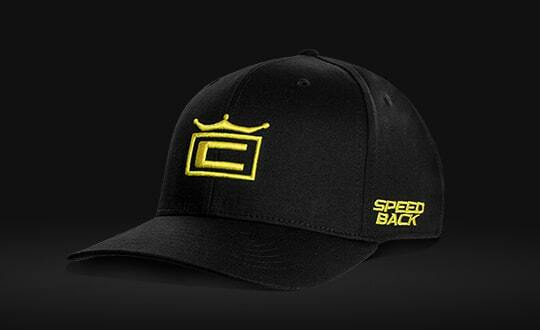 Lower CG placement creates higher MOI that promotes maximum ball speeds and distance on off center hits. High density tungsten weight lowers the center of gravity in the iron to produce a higher ball flight. 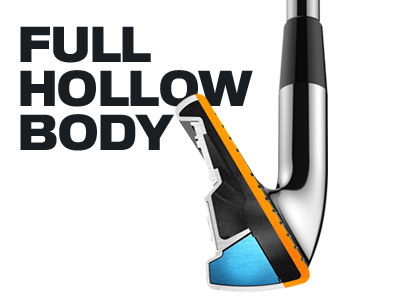 We positioned the weight low on the toe of the club head to center the impact position on a much larger club face. 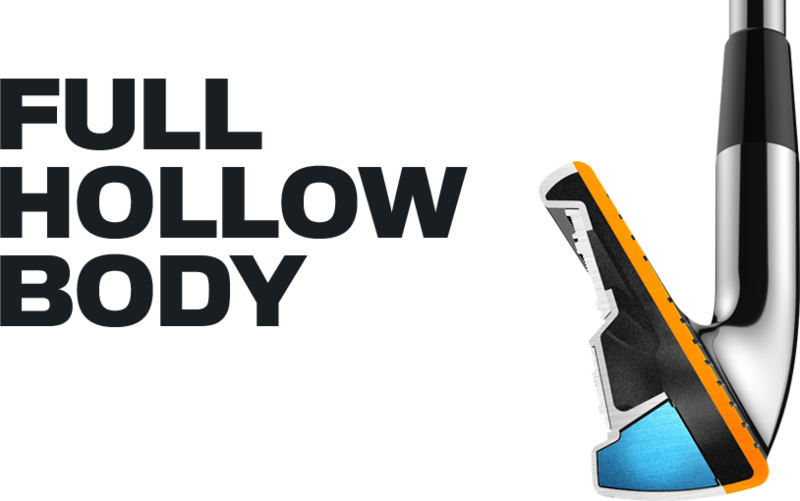 The end result is easy up distance.